I'm not entirely sure why I am making this list. I am not much of an anime fan...maybe only a handful of shows. In my many years of being an anison fan, however, I have crossed paths with the genre and have come to like a lot of it's music. Now I don't want to make a list of obvious contenders...so the following songs are all great and should be on this list, but are just too...common. All songs I love to death, but this list would've been kind of boring if I included them. Everybody loves those songs...so what's the point? So...let's look at my favorite anime theme songs! This might be cheating, but I think it's fair to say that the American dub version of this song vastly surpasses this in popularity. Meanwhile, this version has much better car sound effects (the Speed Racer dub uses the sound of toilets flushing sometimes...I wish I was making that up!) and the opening video has more international travels. It's just better...especially the crazy drum solo at the beginning. Two things I don't like...cats and raggae. Somehow this combination comes together for this absolutely bonkers song. I'm not entirely sure how I came across this song (I think it was during the WinMX/WinNY days) but I liked it immediately. The show itself looks very bizzare...but we're talking theme songs here. Also, sorry not sorry if this gets stuck in your head. I like this song for reasons I don't quite understand. Maybe because hearing it makes me think of 80s Sunrise animation. Maybe I like a theme song that seems to celebrate stuttering. It's probably the bass. Yes, it's the bass. Again with the cats??? What the hell! OK, so this song is great. Insanely catchy, and a lot of fun. I've been meaning to revisit this show now that it's out on DVD, but I know it won't be as good as I remember. I'll always have it's theme song, though. For whatever reason, MIO/MIQ is a prolific anison singer who hasn't really crossed the realm into Tokusatsu songs. From what I can gather, she has only done two. One was a cover of "Danger Melody" from Sharivan for the Tokusatsu Oh remix album in 2001. The other was a song from Gekiranger. Of all of the anime on this list, this is probably the one I know least about. So the song...it's like a much better version of the Bioman theme song. I dig it! I am limiting myself to one City Hunter song for this list. Many of you will agree, that I picked the right one. Running to Horizon is from my favorite JPOP album of the 1980s, so really it is no surprise that it ended up near the top of this list as well. The album in question is called Digitalian is eating breakfast by Tetsuya Komuro. He also happens to be the keyboardist/producer behind the band TM Network...you know, the band behind Get Wild. If you ever feel like falling down the Youtube rabbit hole, check out a few videos of Tetsuya Komuro doing work as a producer. You'll appreciate how much depth goes into pretty much any song he touches. This song is probably the masterpiece of his producing skills. I can go on and on about how great his music is, but let's face it...the reason this song is on this list is because it's an anime theme song. As a theme song, it works brilliantly. There isn't a show out there I think could make this song work as a theme other than City Hunter. Granted, it's City Hunter 3...but I'll let it slide. This is the perfect song for me. I know it's pretty damn obscure and that 100% of the people reading this list will disagree with me. Oh. Well. This is the ultimate song for the boy racer in me. Oddly, I am not very familiar with the show that this is attached to. I was inspired enough to purchase the Animex 1200 CD of it's soundtrack. Years later, it's one of the few Animex 1200 CDs still available for sale...pity, I think it's dynamite. Isn't it odd that two of the shows involve cats and that it begins and ends with shows about boys racers? Anyway, yet another Top 7 list has been done. If you'd like to revisit my previous eight lists, here is a handy link to a page with links. Catch you later, you badly animated fools! I knew car-related anime would be on the list, but cat.... was surprising. Looking forward to see more Top 7 list. 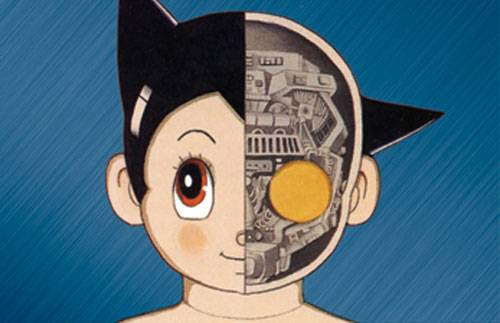 BTW, why did you put picture of Astro Boy? Tetsuwan Atom is regarded as the first anime, so why not? I think it's fun to use an image of something that isn't on the list, but related. I did it with my Sentai Ending song list too.